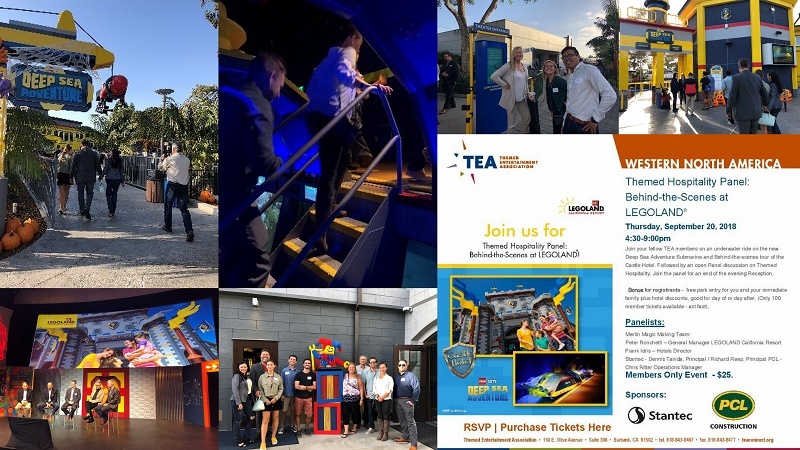 The Themed Entertainment Association (TEA) Western North America Division organized a unique professional development event and behind-the-scenes tour at LEGOLAND® California in San Diego, showcasing the property's new hospitality development. The above photos can also be viewed in this gallery. 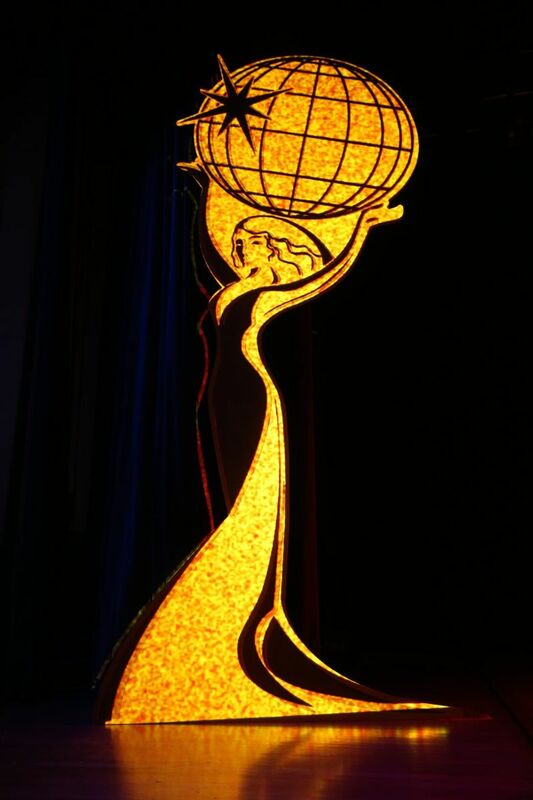 The gathering took place on 20 September 2018. 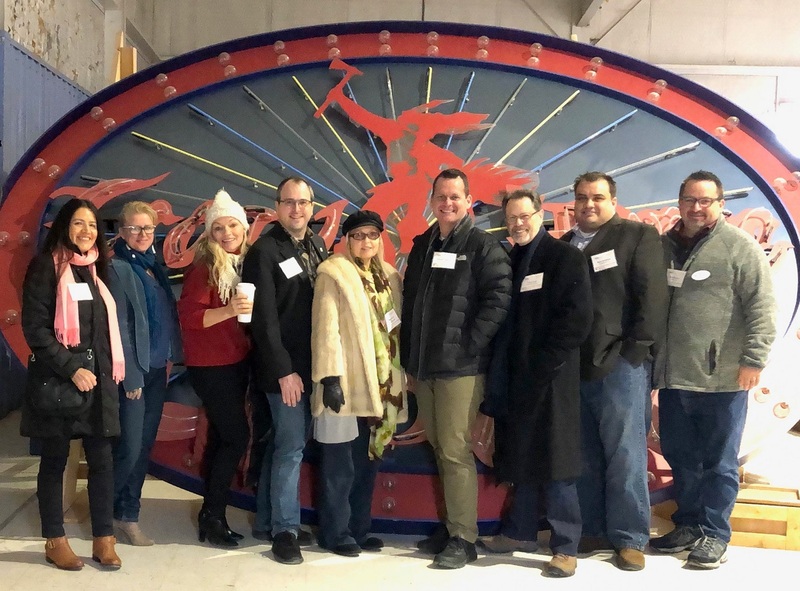 It included a Hospitality Panel, Behind-the-Scenes Tour, and Mixer. 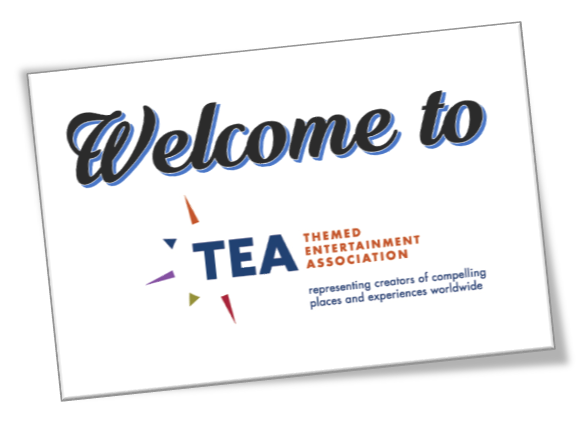 Tricia Rodriguez of Mad Systems, then TEA Western Division Board President, reported: "TEA members were treated to a full tour of the new hotel including rooms, suites, the lobby and restaurants. It was playfully designed to please both children and adults. Even the grounds around the hotel carried on the royalty theme. There wasn’t a corner without a surprise! " The evening continued with a walk through the park to experience the brand new LEGOLAND® underwater ride, Deep Sea Adventure Submarine. Following the behind-the-scenes tour and panel, members networked on the patio of the LEGOLAND® hotel for a mixer. The panel included decision makers of LEGO California, PCL Construction, Stantec, and the Merlin Magic Making Team. Rodriguez commented: "It was a detailed discussion about taking an IP into a themed hospitality environment. The panel surmounted the intricate process involved in themed architecture and how every block truly counts." Thanks to LEGOLAND® for opening their doors to our members and their families, and to event sponsors Stantec and PCL Construction!